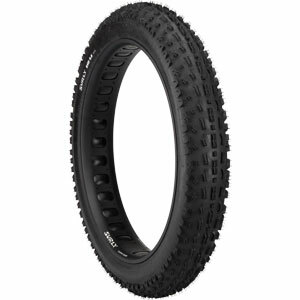 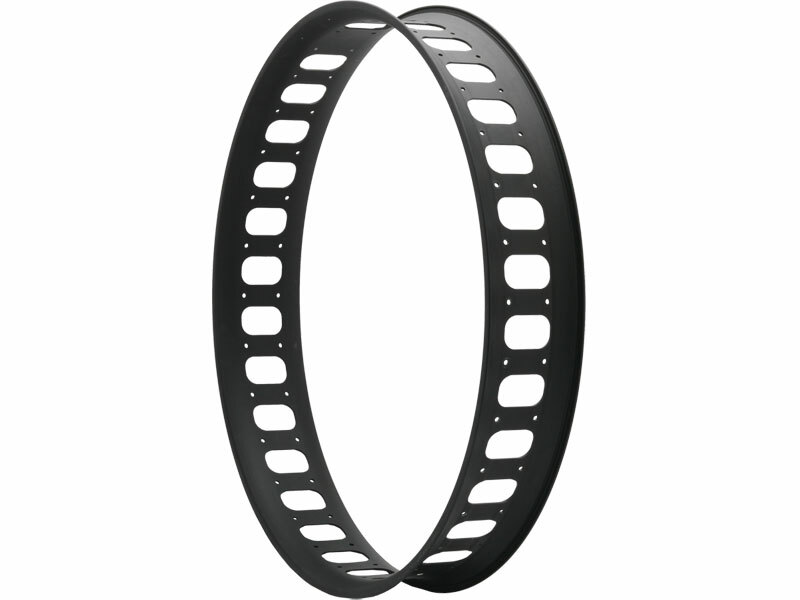 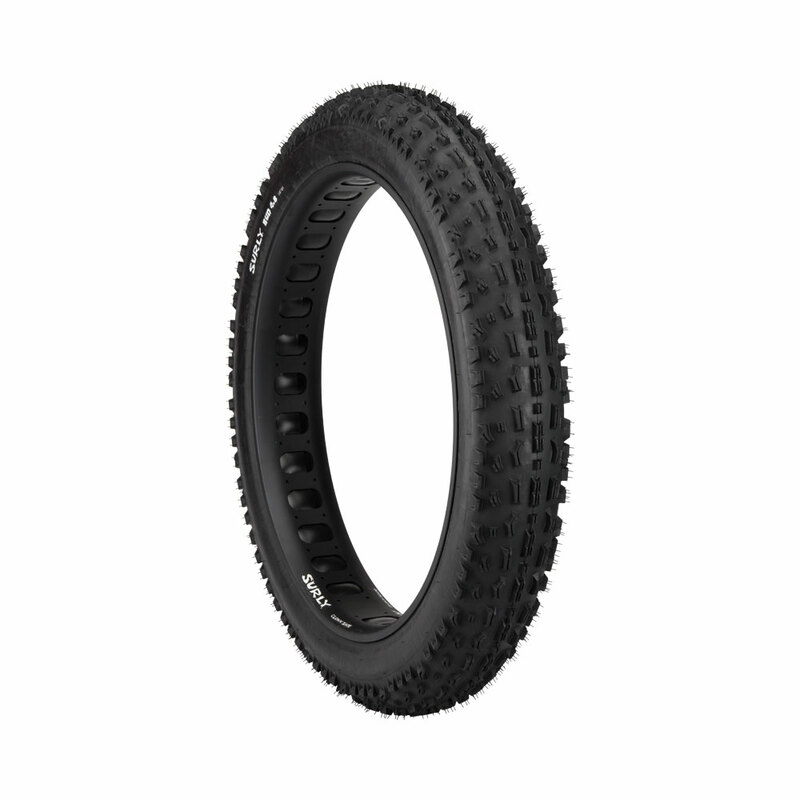 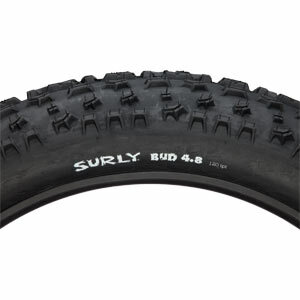 This is Bud, a front-specific 4.8˝ tire designed for 559mm (“26 inch”) rims. 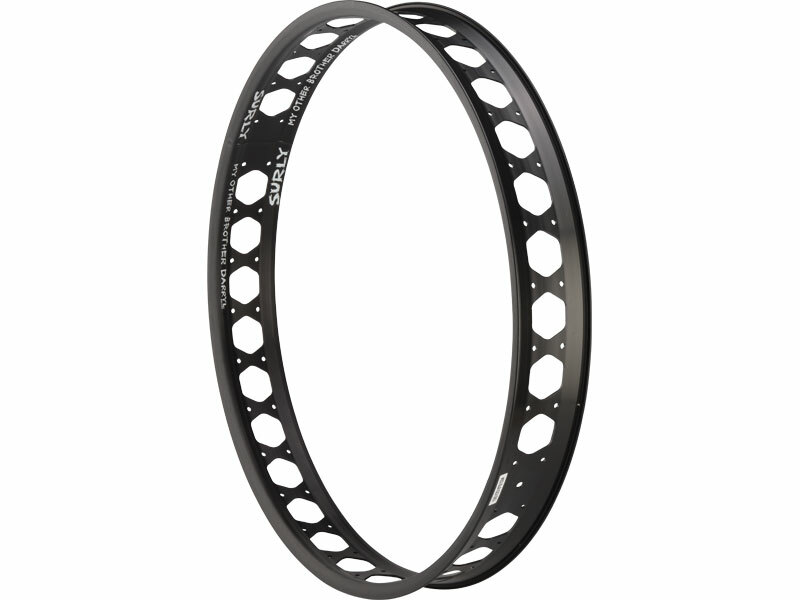 While our 100mm Clown Shoe Rims will offer the most ground contact and the best shape profile, Bud (and his brother, Lou) will also work on rims down to 65mm wide. 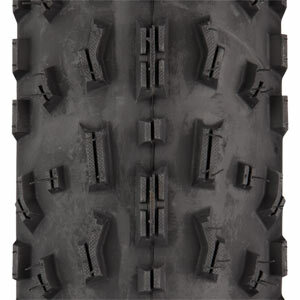 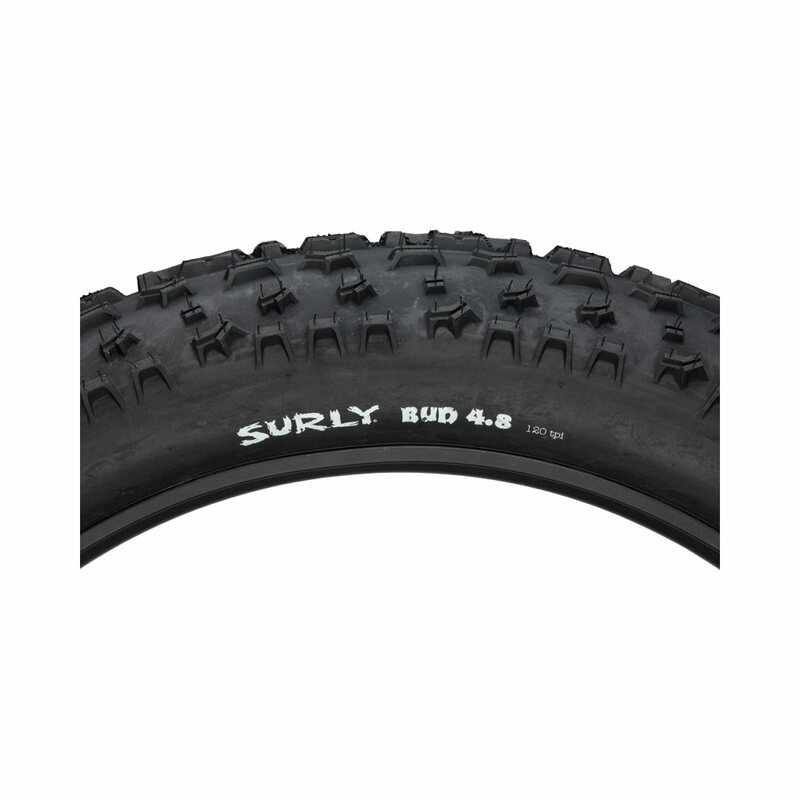 Bud’s aggressive mud- and snow-shedding tread is characterized by tall (7mm), siped knobs, arranged in a pattern ideal for the unique requirements of steering and braking. 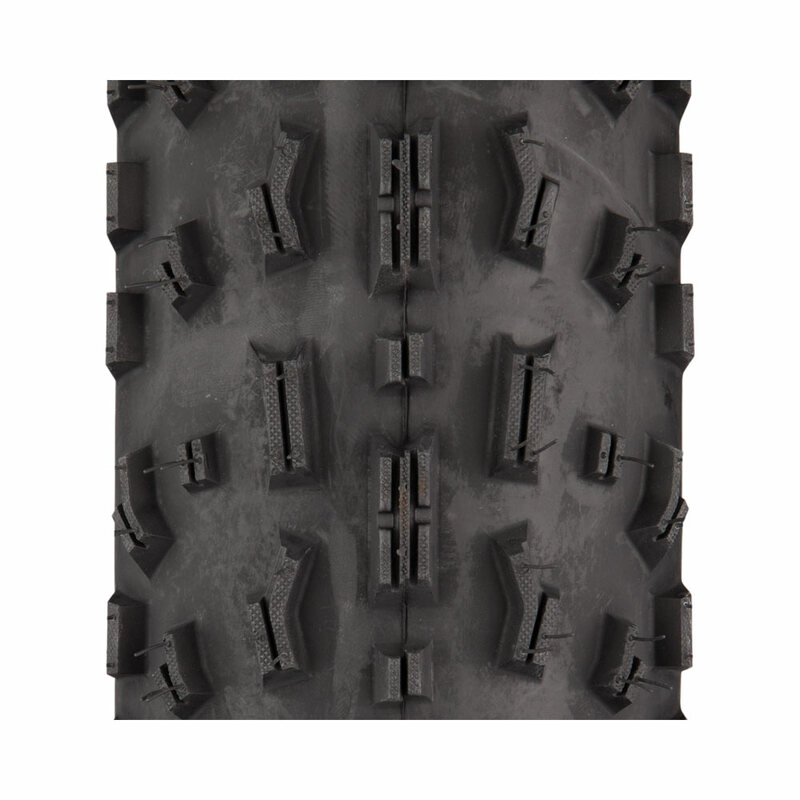 A supple, durable 120tpi casing with folding Kevlar bead conforms well to ground surfaces of all types. 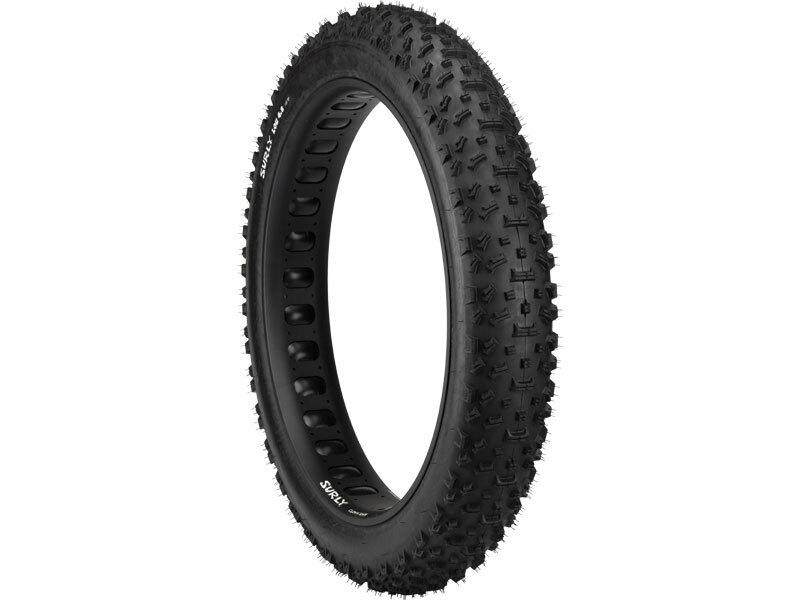 Do These Tires Make My Bike Look Fat?